Basin Street Records is pleased to announce that we are rebuilt and ready to roll. We will demonstrate that, while we celebrate our 10 year anniversary, with the release of several new CDs in 2008. 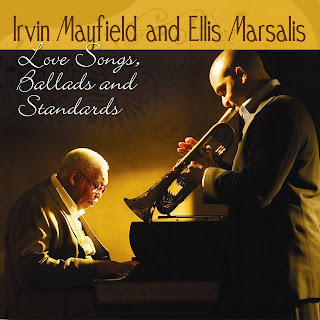 The first will be Love Songs, Ballads and Standards by Irvin Mayfield and Ellis Marsalis. This new CD hits the streets on April 1st, 2008. No joke. 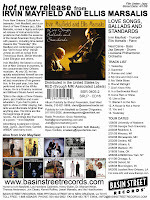 The onesheet for this new CD can be viewed by clicking on the image to the left. You can view a larger image of the CD by clicking on the CD. Samples of the songs can be heard at https://www.basinstreetrecords.com/.